Any Group in your practice can now be made into a List. 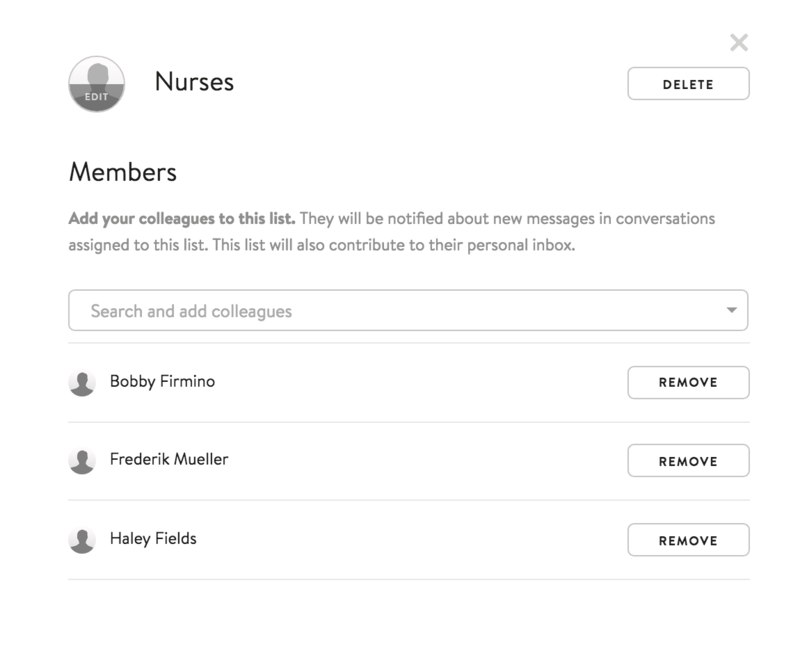 This means multiple people can be notified about new messages assigned to that list, and you can all work collaboratively on handing patient issues. 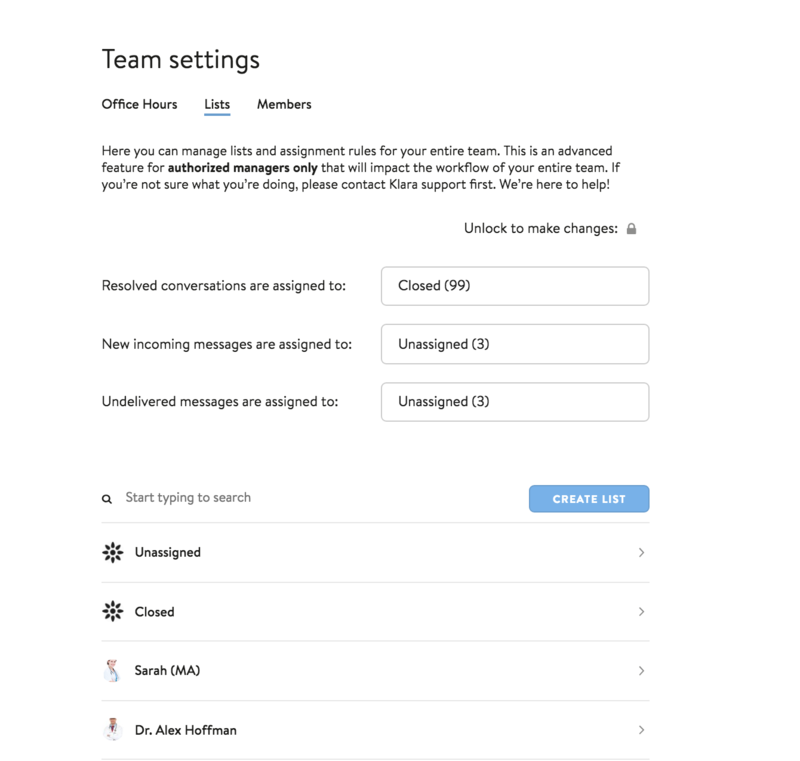 Here, you can search through your team's lists, create new lists, and adjust settings for new incoming messages. 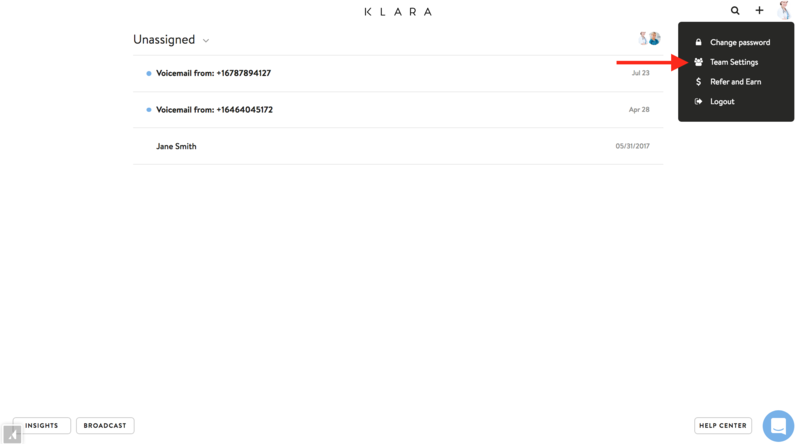 By clicking on a List, you can add and remove members, or Delete the list all together.